great item for the money, simple no nonsense. tv does tend to be out of horizontal level occasionally but thats probably due to weight of tv, gentle twist is all thats required when this happens. It does what I wanted it too!! Once you read the instructions it’s easy to put together and install. Did exactly what was wanted. 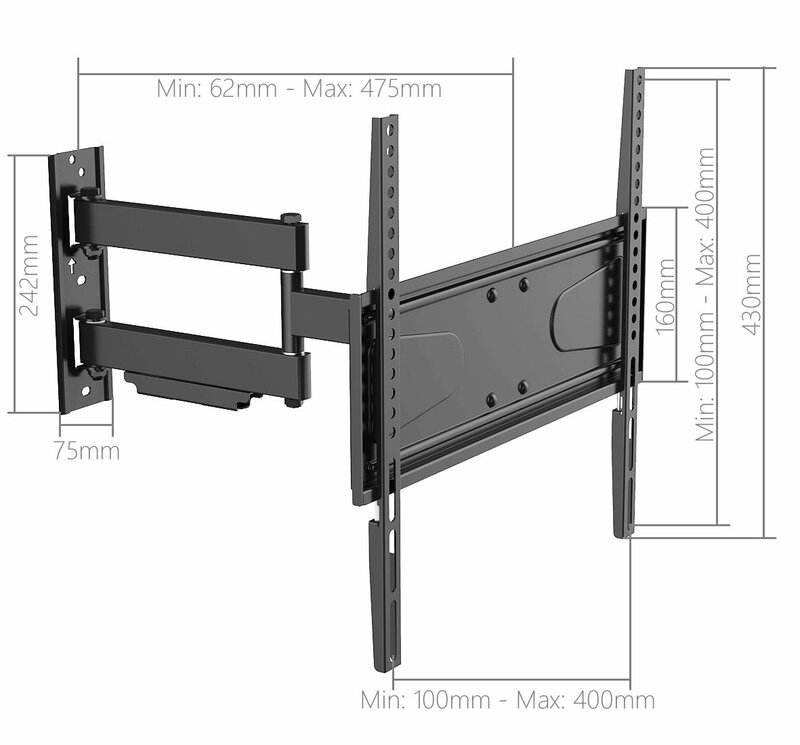 Will this wall mount fit it? 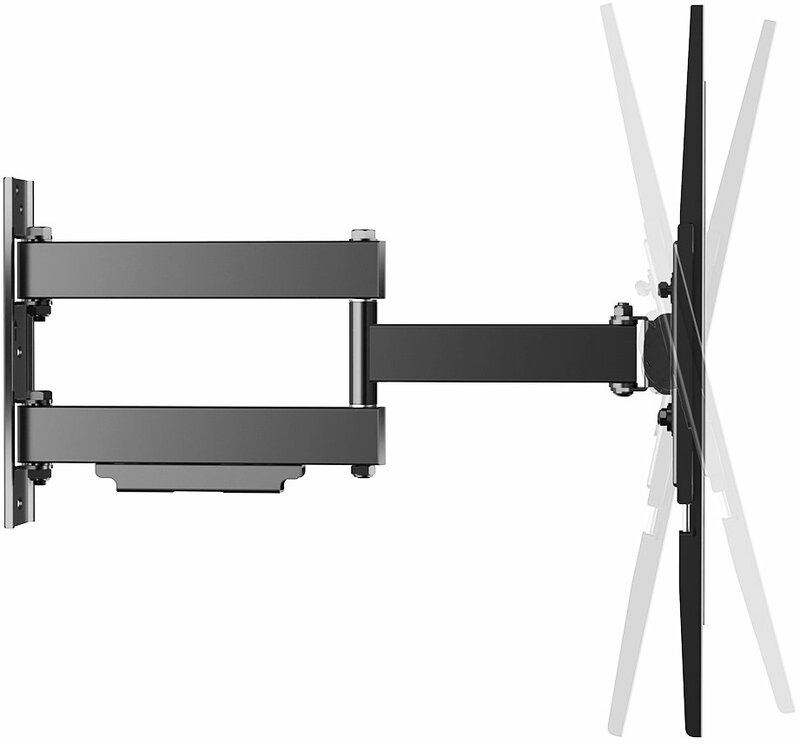 Yes it will fit up to 55"
When the mount is pushed back flush against the wall how far out does it come from the wall? 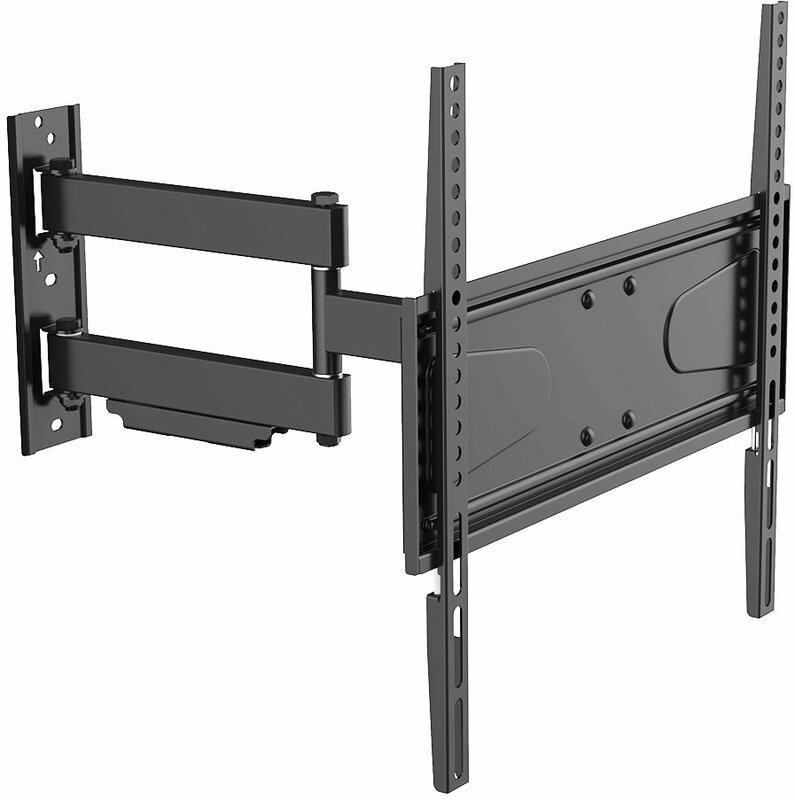 What’s the distance the mount protrudes from the wall when it’s housed, without a tv attached to it? Hello my tv is a sharp 40inch led tv but the vesa is 200 by 300 will this fit? Hi, I have a samsung UE49mu7000 tv. would this bracket be ok? Can you get to mount that will come out a metre from the wall ? Hi it only comes out 50cm from the wall. 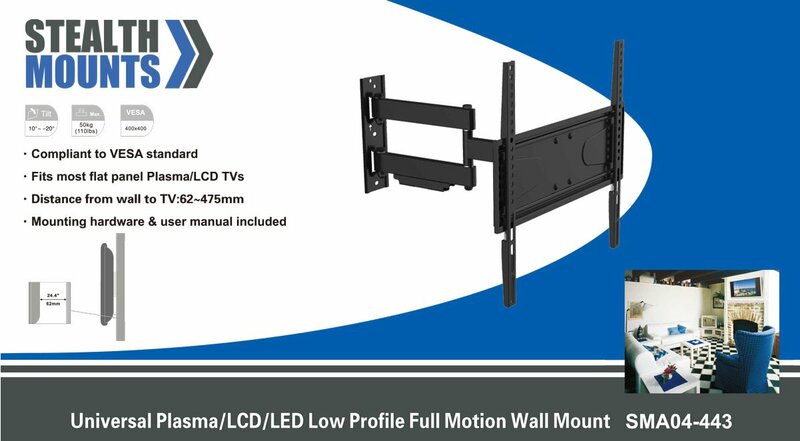 Hi just wondering it comes out 43cm from wall but because the arm is to the side I presume if the tv's is pulled out at an angle it will actually sit out much more on the side it is not attached to the arm?